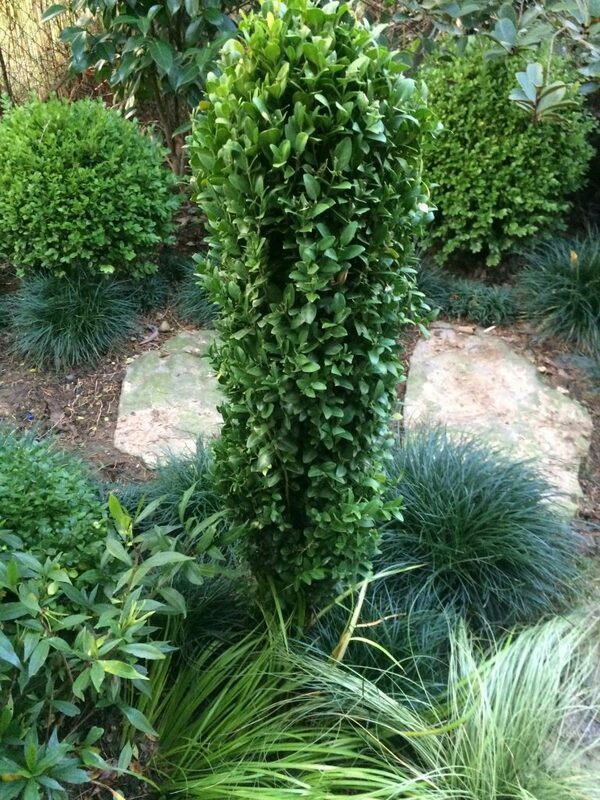 Hard to find but so useful columnar boxwood. Graham becomes a 10″ wide pillar up to 6′ tall or taller within a decade. Very easy to keep it much smaller. Prune reliably to retain a tidy demeanor. Deep green foliage is thick and handsome year round. Average soil, light summer water. Full sun to full shade- no difference in performance. Very cold hardy. Grows 6″ a year.